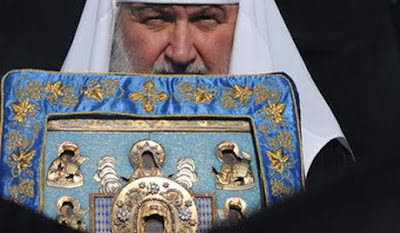 Patriarch Kirill reminds the public that atheism breeds immorality and turns people into brutes. He also calls on the Russian people to return to faith, so that a new chapter of national history may become a possibility. His Holiness was speaking at a Monastery in Alapayevsk in the Ural Mountains where the Bolsheviks brutally murdered Grand Duchess Yelizaveta Fyodorovna in 1918. She, together with others, was thrown into a mine shaft while still alive.